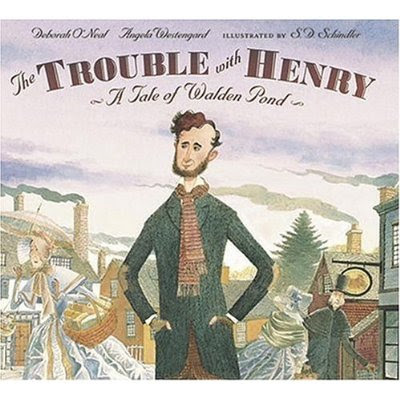 Walsine Pierce: THE TROUBLE WITH HENRY DAVID THOREAU: He Died Too Young! THE TROUBLE WITH HENRY DAVID THOREAU: He Died Too Young! My wife, Julie, is ordering the above book for me from Amazon.com. A new book costs $20 but they have 16 used books for $2.98 plus shipping, about $7.00 total. If there was a problem with good old Henry David, other than dying too young, I don't know what it is. I wanted to buy the book on my Kindle, but it is not available. A few years ago, when the Clintons were all in the news, Hillary Clinton was made fun of because she mentioned that the long deceased Eleanor Roosevelt, President Franklin D. Roosevelt's wife, helped Hillary in her decision making. I felt sorry for those who made fun of Hillary because I considered them to be ignorant. 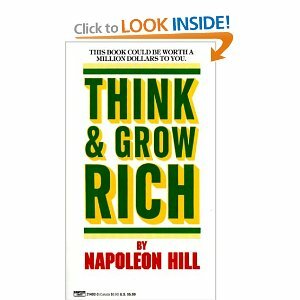 In the late '60s I became familiar with the work of Napoleon HIll and the book pictured on the left. I credit the wisdom discovered in this book to have more influence upon my life's successes than upon any other source, except, of course, the Bible. Not only did I give copies to each of my children, I bought the book by the case to give to others, the latest to a recent college professor who sought my help. In the book, Hill encouraged studies of people in history that we admired and that we espire to simulate the strengths and personalities that we so much admire. Who did I so admire? First of all was my Lord and Saviour, Jesus Christ. Among others there were Thoreau, John Paul Jones, Ghandi, Alexander Hamilton, and George S. Patton. ﻿Mine is the same mindset as good old Henry David. His parents named him David Henry. He liked the name but thought a person should choose their own names. Therefore, he reversed his name to Henry David. In 1899 my mother was named Julia Agnes. She did not like her name at all. When the 1910 census taker came to Maggie Creek, where 11 year old Julie Agnes lived, she informed him her name was Levia Maggie. Her marriage certificate, social security, and obituary read Levia Maggie. I come by my independence honestly! Thoreau said that "He'd rather sit on a pumpkin by himself than to be crowded upon a velvet cushion", or words to that effect. I was in the crowd in New York at the ticker parade that welcomed home the Iranian Hostages. It was frightening! When the police made a way through the crowd to help a heart attack victim, I followed them away from the crowd. I don't like being in a crowd. Like Thoreau, I am perfectly content alone on a lake in the North woods. Thoreau opined that "No amount of preparedness can ever replace constant vigilance". My practice of this caution has saved me more than once. I never enter into a building except that I sit facing the entrance and being aware of at least one alternative exit. He once went to jail because he refused to pay a few cents tax on having a shoe repaired. He was enjoying the experience until some friends paid the tax and got him out of jail. In my life I have often been just as obstinate when I opposed a thing. I haven't read this new book yet but to me his early death from tuberculosis at age of 45 was his greatest problem. He was born in 1817 in Corcord, MA and lived there until he died in 1862. I have worn out two copies of his book On Walden's Pond. He is buried in Sleepy Hollow Cemetery alongside two of his mentors, Ralph Waldo Emerson and Nathanial Hawthorne. I have visited Walden's Pond. I have also visited the home of John Paul Jones at Jamestown, VA and in June of this year I hope to visit the George S. Patton Musuem in Arizona.